So What Did I Think Of The Prince and I by Karen Hawkins? After reading the synopsis I was excited to read this story. I enjoyed the challenge that Max and Murian posed to each other. Their romance was sizzling with passion and strong connection. The drama was exciting and the multiple mysteries continued to keep me interested in the story and what would happen to Murian and Max. There was strong balance of action and intrigue. The characters both main and side characters were strong with bold, entertaining personalities that brought out the story. I really loved the showcase of friendship with the relationships that Murian had with her friends. Even though Murian and her friends had fallen on very hard times I liked that Murian didn’t wallow and completely stepped up, became a leader and fought for what was right. I really liked Max, even through he was a prince and could have been stuck up and arrogant he wasn’t. He was bold, persistent, challenging and he genuinely liked Murian’s independence. As Max and Murian spent more time together figuring out their issues and the various issues that presented itself enjoyed how it felt like they had a partnership, with great banter and a balance of power. 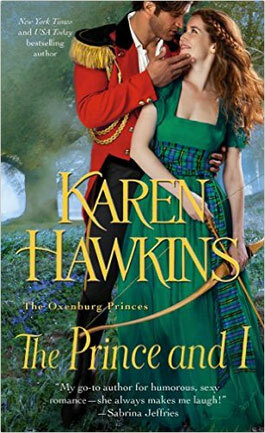 Overall I enjoyed reading The Prince and I by Karen Hawkins. I just loved this book, so fun and their interactions with each other was so engaging. 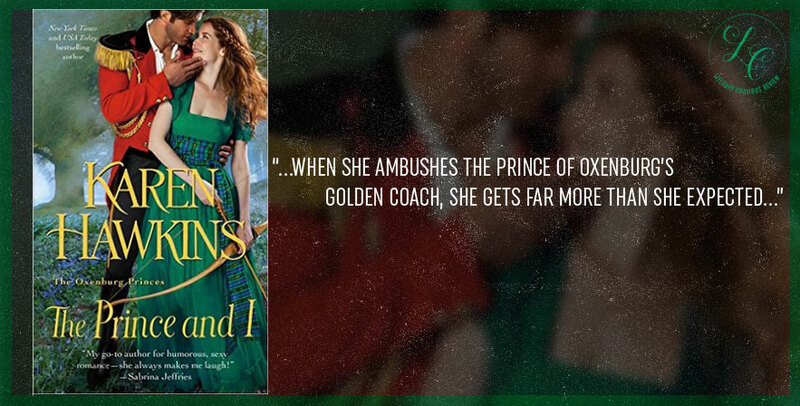 And both of these characters were so lively and these royal brothers have been a blast to read. Great review. Thanks so much for stopping by! Yea I’m looking forward to reading more of this series! !